Thank you for submitting your item for appraisal. 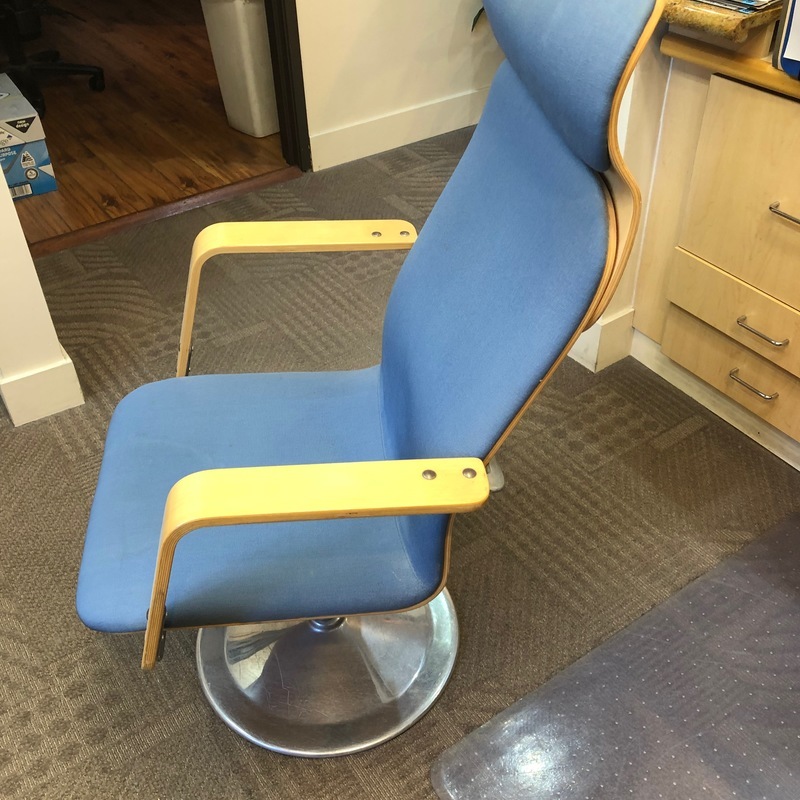 These appear to be molded beech plywood chairs, with round steel foot, blue fabric , manufactured for Avarte, circa 1980s or shortly after, marked 'AVARTE, Made in Finland', after a Yrjö Kukkapuro design. Similar pairs have been sold at auction, The estimate is based on actual auction results. Asking prices in the vintage design trade can be higher and can vary. There is no measurement for the sentimental value you might attach to the item. that is $250-300 each, correct?